The market of smartwatches never achieved the heights the companies hoped for when they started to develop and produce. At the Mobile World Congress 2018, Haier wants to extends those heights with a smartphone that has a projector in it. If you look at the watch, you see that it has not the normal properties of a smartwatch. 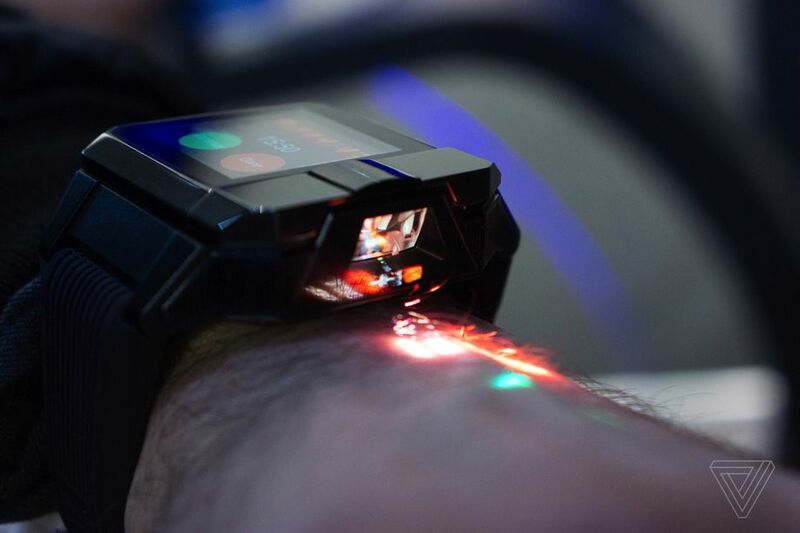 You would expect a thiny, small watch, but you get a quiet big watch, that has a projector in it. You could argue that it will just be another smartwatch that will be forgotten, but they try to inovate and expand the market. It is a perfect example of thinking out of the box. The idea of a smartwatch is great, you have all important information just on your wrist. You just have to touch the screen several times and you get the information you want. This idea has always been great, since everybody wants their information, quick, accurate and with as less effort as possible. The only downside is that, the display is small and you have to put a lot of effort in reading it. Haier wants to eliminates this effort, so they put a little projector inside. 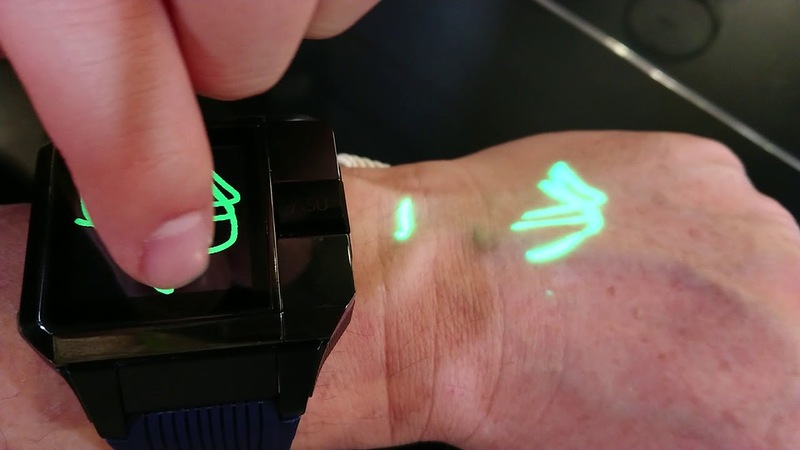 Now you can use your wrist as a display. You can combine it with the display on the watch itselfs. There are several features built in. the first is calling. When dialing a number you see the numbers on the display, and the numbers you dialed on your wrist. 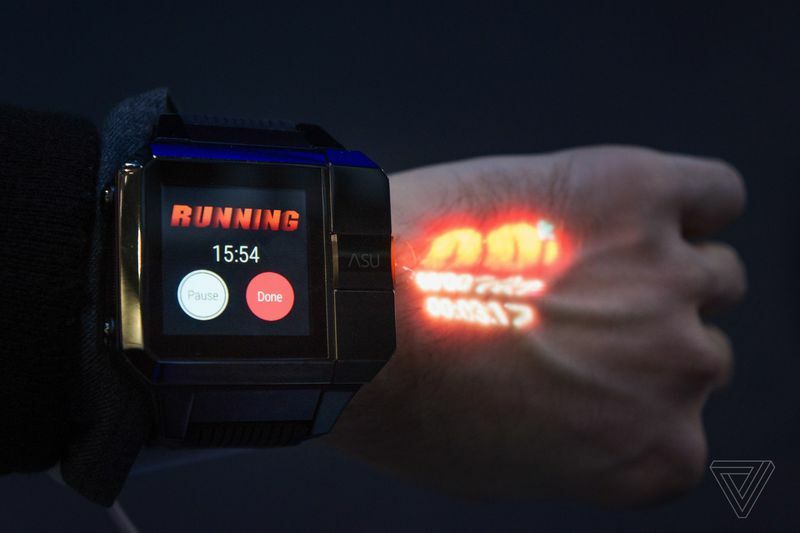 The projector can display your steps, so their is a fitness tracker inside. You can draw things, so you have a projected "tattoo". Last you have some basic features, as a stopwatch. For specifications: it has a 1.5inch touchscreen (240x240-pixel), the projector has a resolution of 480x854-pixels. This resolution makes sure that you have a clear view of what you project. Inside their is a 1.2GHz processor, and 1 GigaByte of memory. For the extra features there is also a gyroscope, a heart-rate sensor, GPS and 4G LTE support. It is made dust proof and you can spill drips of water on it. It will also come with a dedicated app, so you can adapt the settings to your preferences. We would love to get your input on this product!